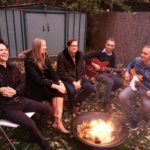 Bio: Great Lakes emerged from Athens, GA roughly two decades ago, but the band led by singer-songwriter/multi-instrumentalist Ben Crum has been based in Brooklyn since 2002. 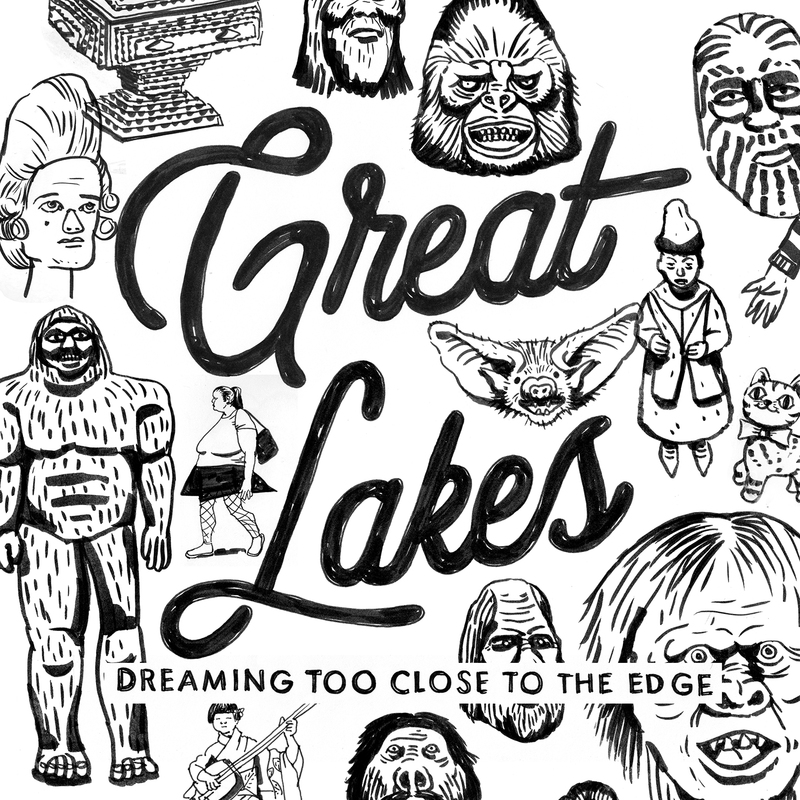 Formed in 1996, Great Lakes was initially part of the Elephant 6 Collective. 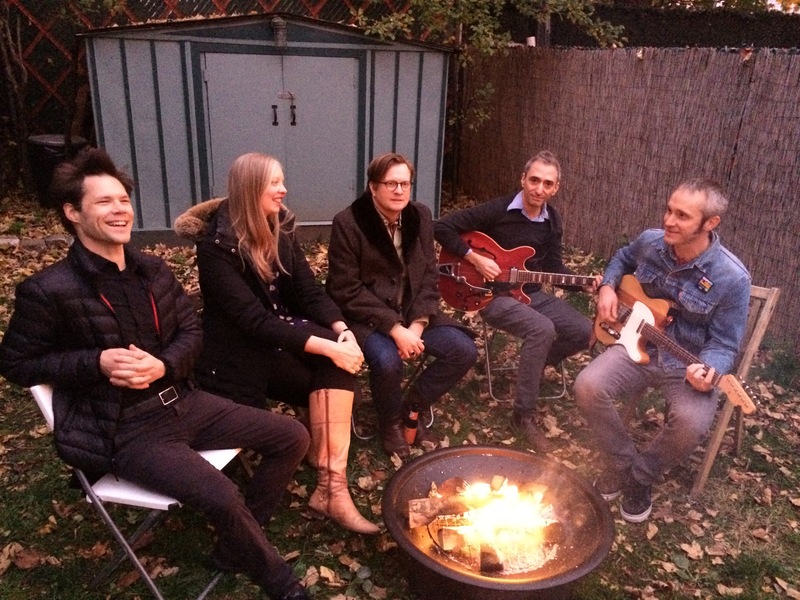 The band's 2000 debut, mixed by Apples in Stereo honcho Robert Schneider, owed much to the psychedelic pop of the '60s, as did the band's second album, The Distance Between. 2006’s Diamond Times for Empyrean Records, however, offered a significant stylistic progression. 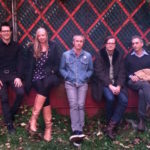 Drifting away from the psychedelic milieu, the band's sound took on country and folk leanings, with “Farther” reminiscent of both Wilco’s and Teenage Fanclub's more straight-ahead moments. 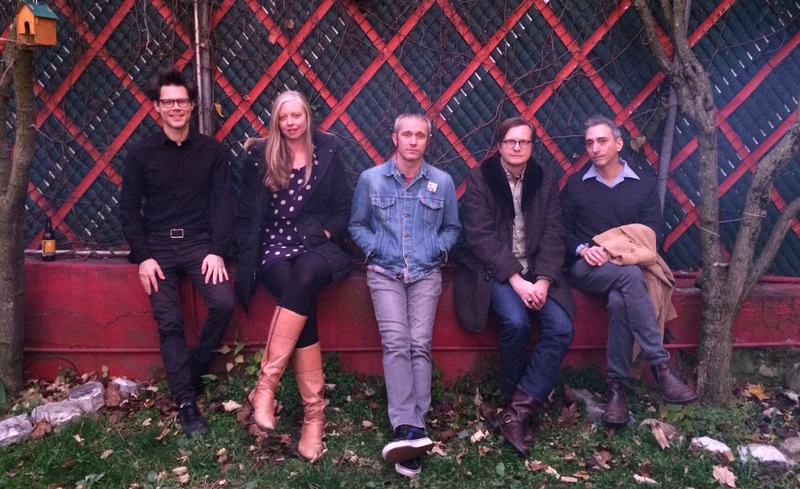 By 2008 Crum had become the sole original member of Great Lakes, and the band's fourth album, Ways of Escape, reflected a further shift into singer-songwriter-oriented country and folk. It also brought with it a change in personnel, as Crum was joined by drummer Kevin Shea, vocalist Suzanne Nienaber, keyboardist Joe McGinty, guitarist Kenny Wachtel, bassist David Lerner, multi-instrumentalist David Gould, and pedal steel player Phil Sterk. This same lineup returned for the band's 5th album, 2016's Wild Vision, which delivered what many reviewers called a creative peak for Crum and Great Lakes. With the band's 6th album, Dreaming Too Close to the Edge, Crum, Shea, Nienaber, McGinty, Sterk, Gould and Wachtel return with a record that feels both like a natural progression from Ways of Escape and Wild Vision and hearkens back a bit to the band's earlier work. 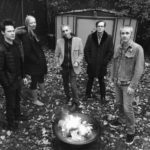 Of the album Crum says, "Somehow it feels like the third, and probably last, album in a three album run of thematically-related records, though I didn't consciously plan it like that." Of the album's sound, Crum notes, "I wanted Dreaming to sound like I'd imagine it would have sounded if Television, Big Star or the Velvet Underground had made a record that sorta leaned in a country-rock direction." 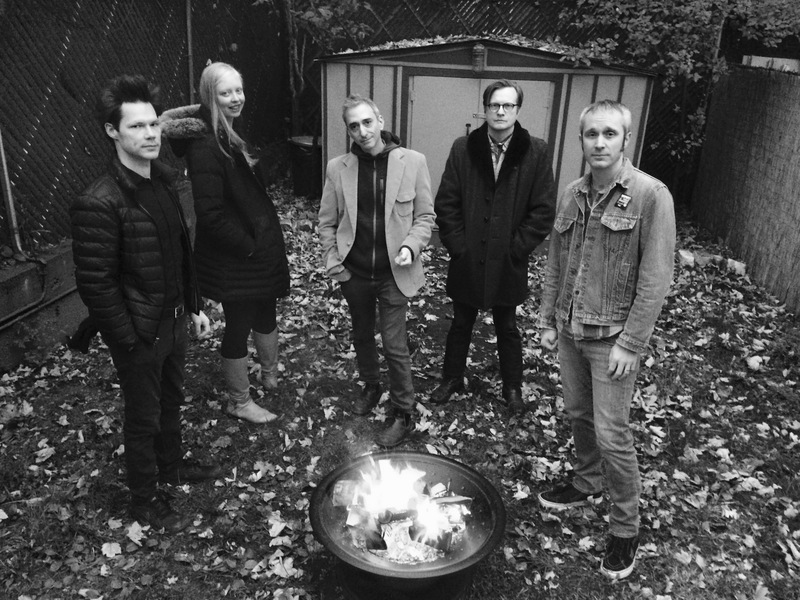 Opener "End of an Error" starts the record with brash rock and roll, with its cold, reverb-y mood evoking The Jesus and Mary Chain and its wailing guitar calling to mind Nuggets-era '60s garage bands and the extended soloing of J Mascis and Neil Young. Next is "Mixed Blood," which finds Crum and company channeling The Faces and Brinsley Schwarz. 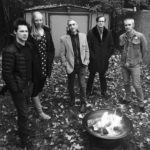 "Minor Blues" will appeal to fans of Galaxie 500 and Luna and the '70s solo records of Ian Matthews and Dion. The album's prettiest track,"Bury the Hatchet," is a finger-picked folk number; a darkly comic song in which Crum sings, "I'd like to bury the hatchet… in your back." It's followed by "To Live Is to Lose," featuring a guest vocal by Elf Power's Andrew Rieger and some Dire Straits-inspired guitar work from Kenny Wachtel. Side Two begins with the All Things Must Pass-influenced "Kingdom Came," with its steel guitar, and continues with the Heartbreakers-meets-country-rock sound of "Time Served." After the gentle, folk-y "Gold" and the angular pop/rock of "Awaking Up Together" comes the album's closer, "You Could Have Had Me For a Song." It's a fitting end to an album that, despite its varied styles, is a consistent expression of Crum's ever-evolving songwriting voice, and offers a hint as to the singer's worldview: "seek no one's blessing… there is no lesson." 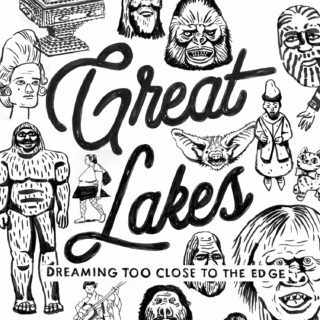 Great Lakes' Dreaming Too Close to the Edge is available April 6 2018, on Loose Trucks.